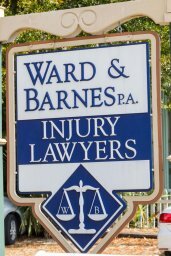 Thank you for your interest in contacting Ward & Barnes, P.A., Attorneys at Law in Pensacola, Florida. We invite you to contact our office Monday-Thursday between the hours of 8 a.m. and 5 p.m., or Friday between 8 a.m. and 3:30 p.m. Additionally, you may reach us by filling out the contact form below or by emailing us at info@wardbarnes.com. We look forward to hearing from you and discussing how our team of experienced legal professionals can help. Thank you! Please provide a mailing address where we may send any materials, notifications or other items you request. Please provide a valid phone number where we may reach you during business hours. Please provide us with a valid email address where we may reach you. Please provide a brief description of your question or request. Please do not send any confidential information using this form. Contacting Ward & Barnes, P.A. Attorneys at Law through this form or using any of the methods listed on this website does not constitute the creation of an attorney-client relationship and should not be construed as such.